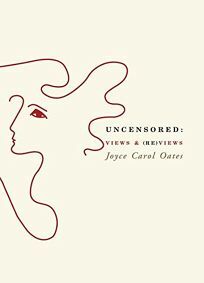 The prolific, bestselling novelist Oates wears a critic's hat in this tastefully textured compilation of prose pieces. Guided by her overarching desire ""to call attention solely to books and writers that merit such attention, and to avoid whenever possible reviewing books 'negatively' except in those instances in which the 'negative' is countered by an admiring consideration of earlier books by the same author,"" Oates has achieved a delicate critical balance-gracefully sidestepping the Dale Peck approach to reviewing while eschewing the temptation to dish pat, effusive praise. As a result, her essays, never grating nor bland, engage the reader with their refreshing honesty. She does not hesitate to expose the various contrivances of Patricia Highsmith, particularly as they pertain to the short story, for which, Oates suggests, Highsmith possessed ""perhaps little natural skill."" Similarly, Oates challenges Anita Brookner's solipsistic insistence that self-analysis ""'is an art form in itself.'"" Other highlights include her look at the ""new memoir"" of crisis as seen through Alice Sebold's Lucky, her take on the exhibition of essentially private writing (Sylvia Plath's journals, J.D. Salinger's letters to Joyce Maynard, etc.) and her questioning of the ""restoration"" of literary works, a process she explores vis-a-vis a scholarly re-release of Robert Penn Warren's classic, All the King's Men. Envisioned as ""a conversation among equals,"" this collection covers the literary gamut-from spirited icons like Hemingway and Carson McCullers to quieter, more unassuming contemporaries such as Pat Barker, Ann Patchett and William Trevor-and even makes room for the occasional homage to a trailblazing athlete (Muhammad Ali), a film idol (Bela Lugosi) and an art world sensation (Balthus). Fortunately for readers, Oates does not spare herself either, turning that discerning dialogue inward to candidly discuss her own writing process.